Un Betis en Segunda, relegated to the Liga Adelante four games before the end of the season. 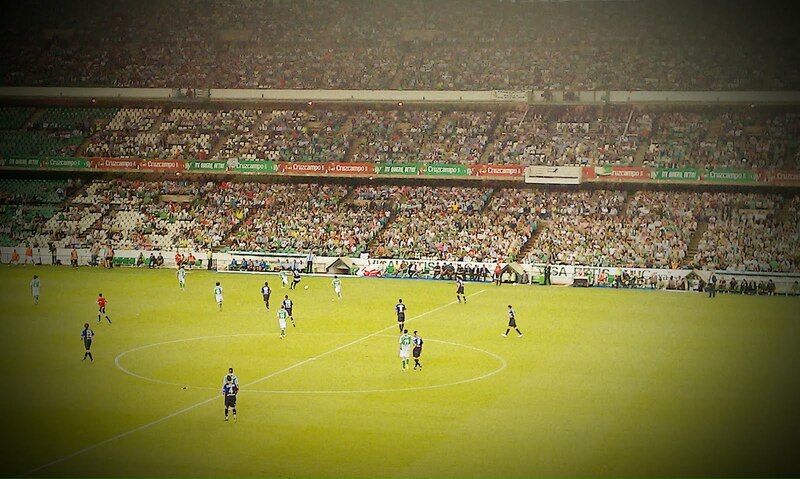 As a first-time season ticket holder, I looked forward to every other Sunday in Gol Norte. Football became my new religion, bocadillos and sunflower seeds, my Sunday dinner, and I learned the words to the chants and hymn. 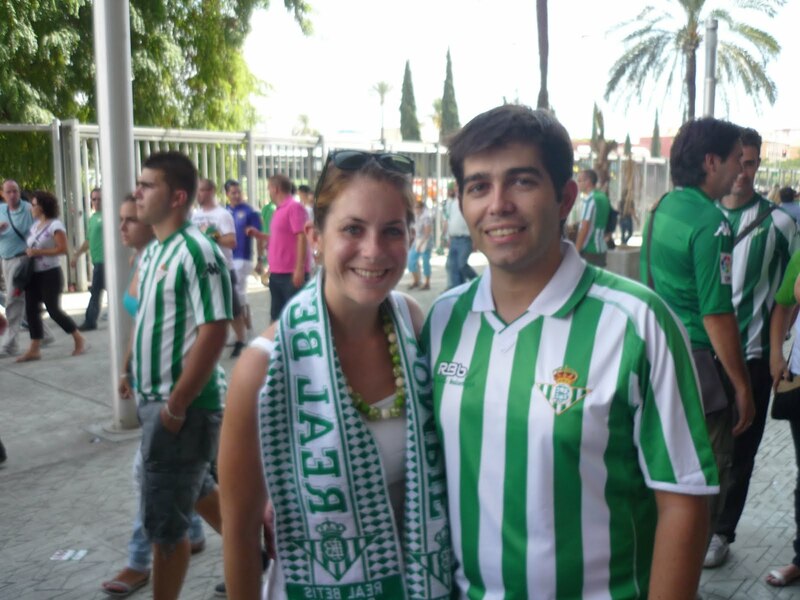 After Betis’s miraculous 2012-13 season, one that saw them finish above Sevilla Fútbol Club and make it to the UEFA Euro League, it was a great moment to be bético. But our hopes started to fade with the news of sales to make a quick buck and injuries from star players like Jorge Molina and Ruben Castro. Then came Pepe Mel’s firing – a move that polarized fans – and two more coaches who failed to save a flailing team. There were more jeers than cheers. As we sat once more in Gol Norte on Saturday, I did my best to animar my team, perennial underdog in a city with two teams and two aficiones. The stadium was only half-full and sat in long periods of silence. Real Sociedad was playing for a spot in Europa and did us zero favors. I’d say we left dejected after 93 minutes of hell, but we made the best of it, sharing snacks and joking about how next season will be different – we’ll probably win most games. I’ve come to see the people who sit around us as allies in a fight against the bad guys (the Dirección). And then there was the other guiri who did his darndest to rally the troops, dressed head-to-toe in green and white. Despite the bad news, I’m still fiercely bética. 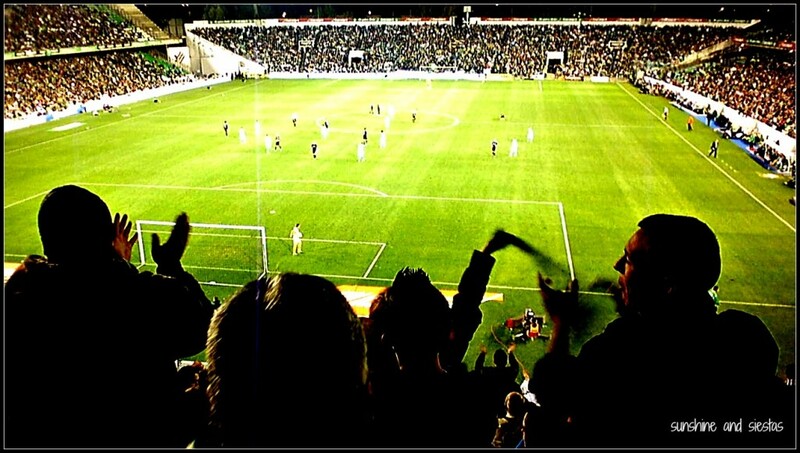 As a matter of fact, I went to my first two Betis games when they were still in Segunda in 2010 and was immediately won over by the fan base, the electric feeling of being somewhere between heaven and hell when in the stadium. 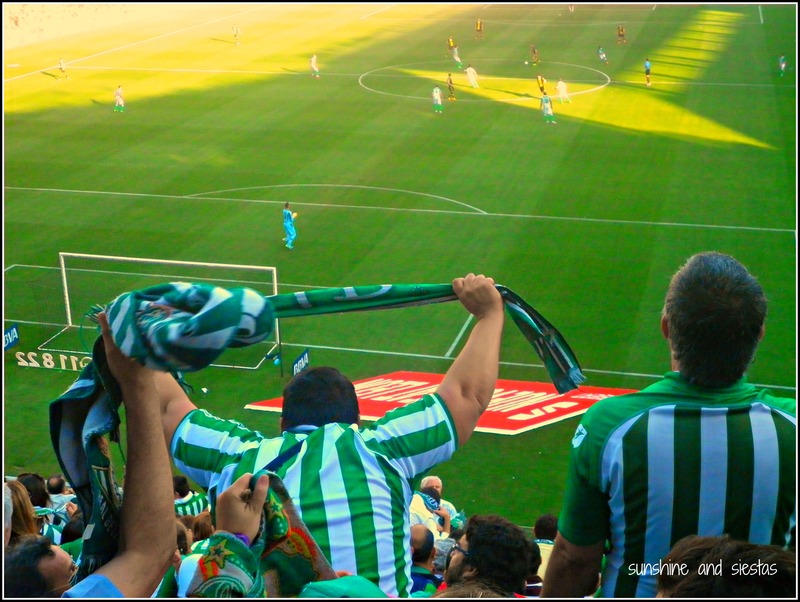 Just as the Himno del Betis says, “Aunque última estuvieras simper te ven campeón.” What really makes Real Betis Balompié stand out from other teams in La Liga is its fan base, and I’m proud to have been to 15 home games and a UEFA playoff to cheer with 30,000 others. Betis may be in Segunda, but in the words of coach Gabriel Calderón, su afición es de Primera. Who do you think will join Betis in Segunda, and who will move up into Primera? My first true sports love was the Green Bay Packers. Growing up along the border of Wisconsin-Illinois, my classmates were divided between Cheesehead lovers and the Monsters of Midway, making the Bears-Packers games something of legend. Nevermind the fact that I was born the year Ditka took Da Bears to Da Superbowl – Brett Favre and Vince Lombardi were my childhood heroes, along with Nadia Comaneci. I soon took up a profound love for my university team, the Iowa Hawkeyes, as well as the Chicago Cubs, both perennial underdogs in their leagues. Then I up and moved to Spain, where no pigskins or baseballs are readily sold. I’d have to choose between tennis, synchronized swimming or fútbol to satisfy my sports cravings. 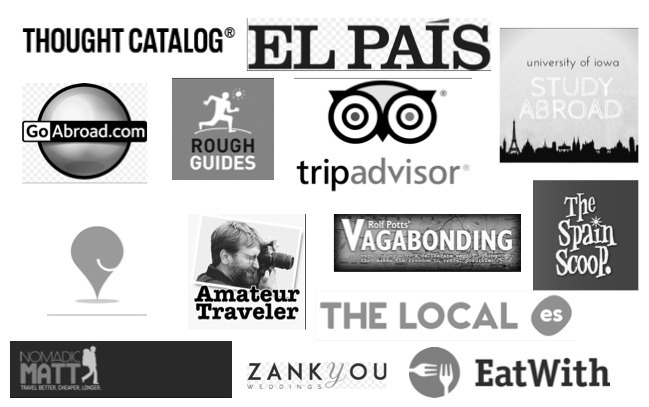 Thankfully, fútbol is sacred in Spain, and I was soon watching games every week with friends around the city. I learned the names of all the players on the Spanish national team and followed them earnestly (I even jumped into the Cantábrico when they won the World Cup in 2010, one of my fondest memories of my time in Spain). 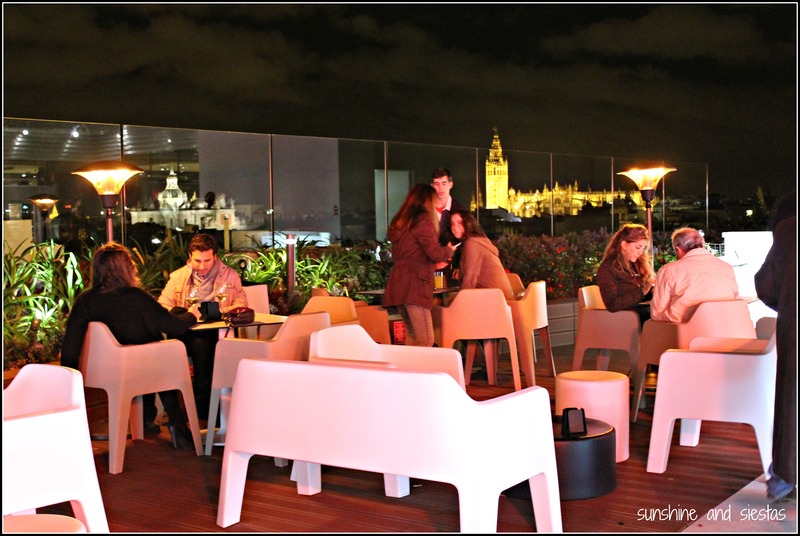 But I never answered the question so many students posed: ¿Sevilla ó Betis? 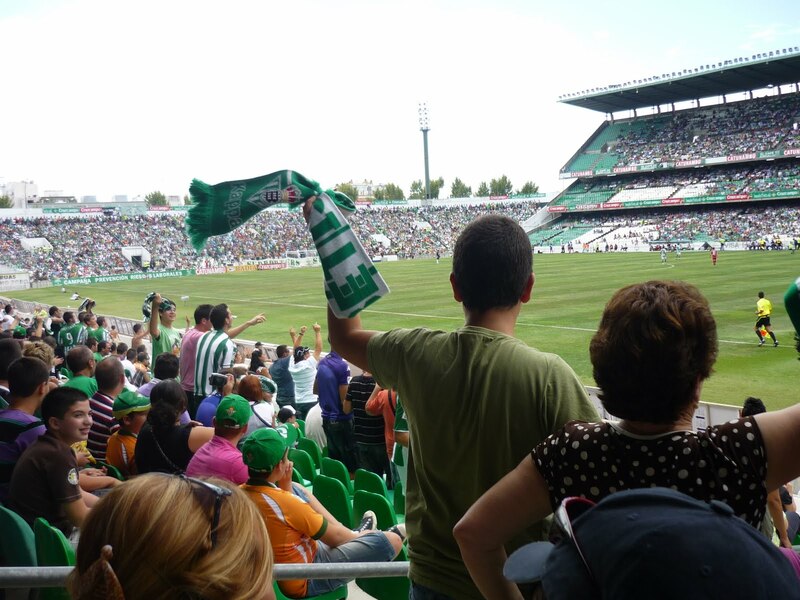 Thanks to some earnest friends and invitations to Estadio Benito Villamarin, I have become bética, which is Seville’s lesser-known team and home to one of Spain’s biggest fan bases (true story: there’s a Peña Bética club in NYC). Friends like JM, the Novio, Manuel, Pedro and even my former boss sold me on the idea of the underdog, the verdiblancos whose reputation took a beating in 2009 when they descended from the top Division Primera of La Liga into Segunda, where they spent two seasons. I attended the match late in the 2011 season los de la Palmera secured enough points to ascend back to Primera, and my heart swelled. That was all it took – living on the borde of a victory or a terrible defeat, the colorful ways the fans would insult the refs, the other team, even their own players and coach. 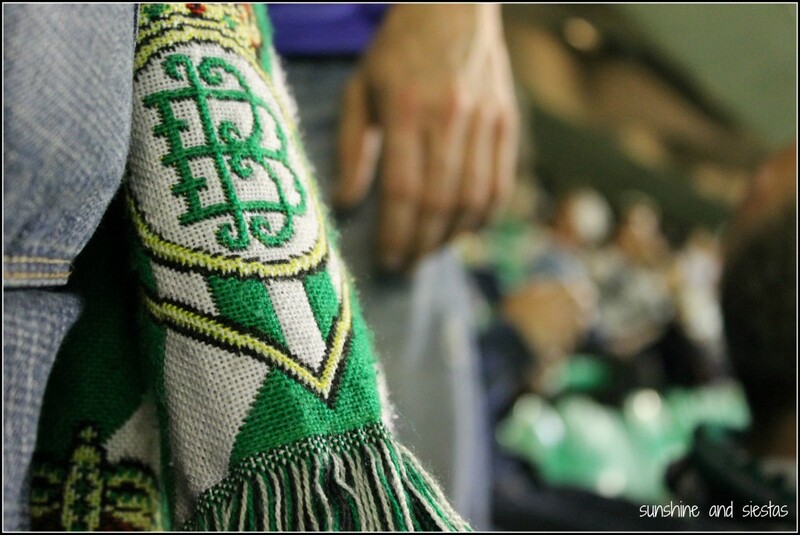 If Barcelona Futbol Club is “Mes que un Club,” Betis is more than a feeling. Note to self: it’s a fútbol team, no need to wax poetic. Besides, this post is about the matches and not my team. Towards the end of the 2012-13 season, I went to the Derbi Sevillano, a pre-Feria tradition where Seville’s two teams square off. Season records are broken in attendance, and police forces swell to accommodate the botellones before kickoff. Tickets are a hot commodity, but the Novio’s business trip meant Emilio and I would be squished together in Gol Norte, cheering on our afición. 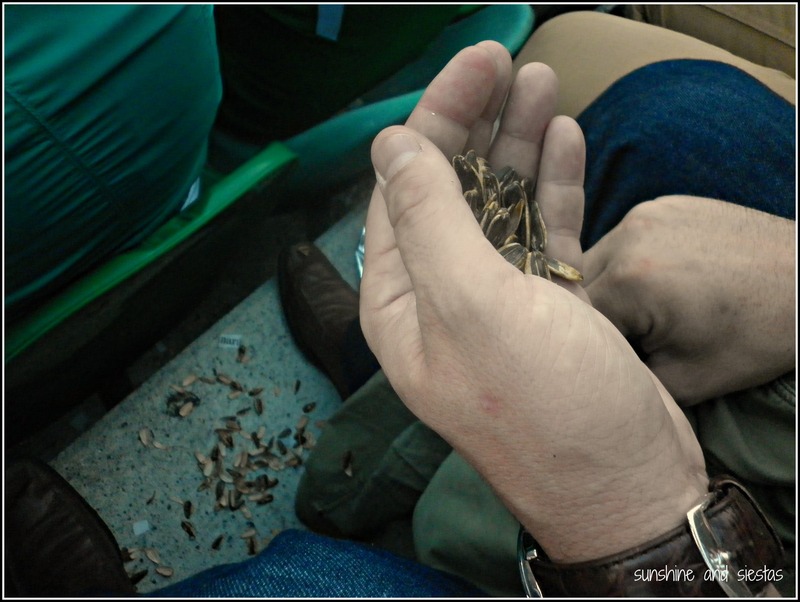 Attending a match with socios is a lot like attending a reunion – everyone knows one another, passing around packs of sunflower seeds and glasses of wine. Everything is debated and criticized, from calls to inability to stop goals. People go hoarse slinging insults at the other team (or even their own), hugging and giving slaps on the back when the team scores or has a good rebote. The two halves pass by quickly when you’re up, or excruciatingly slow when you’re down. The BBVA Spanish soccer league is composed of 20 teams in the top tier, called La Liga in Spanish and is one of the most-watched leagues in the World (duh, Spain has won the 2008 and 2012 Euro Cups and the 2010 World Cup). Each team plays a schedule of two rounds against the other teams, once home and once away, for 38 weeks, each called a jornada. Depending on match outcome, the teams earn up to three points, and they accumulate points throughout the season. The team with the highest amount of points is crowned Campeón de Liga, and often clinches the playoff title, too, and the three lowest scoring teams are automatically moved down to Segunda División. Teams at the top of the second tier are welcomed back into the Primera División, and there is a playoff to determine the last spot. 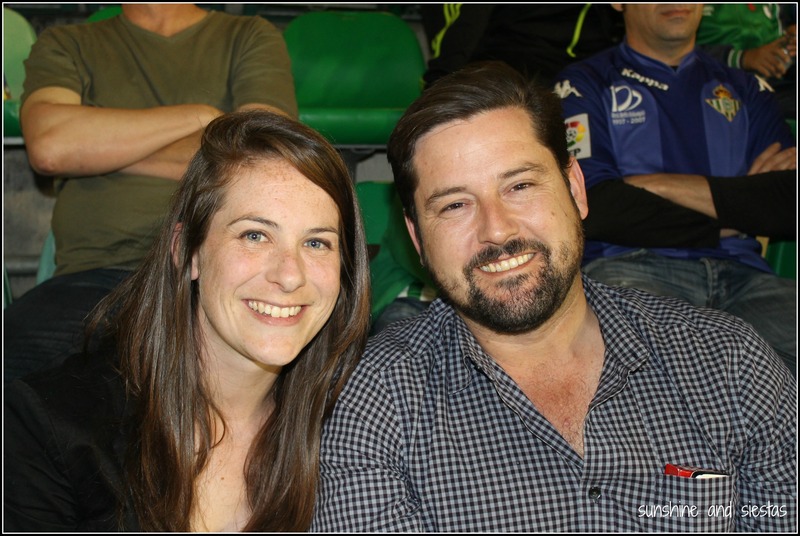 You’ll often see people at games who are also following other matched with their mobile phones or radios, jotting down points scored during the week and configuring where their team stands at the end of the jornada. Not that you’re interested, but there’s also Segunda B and a Tercera División (an American friend of mine played for Albacete, who is in Primera B, thus making himself way cooler than anyone else I know). But what about Fernando Torres and Jesús Navas, who play for the Selección Española national team? Many Spanish soccer stars opt to go to the Premiere League in the UK for their salaries and prestige. The same goes for Lionel Messi, who plays in La Liga for Barcelona, but also for the Argentinian National Team. After you’ve suffered through 45 minutes of tiki-taka, or the juggling between players that is characteristic of fútbol in Spain, the field suddenly empties and fans grab their bocata and can of pop. 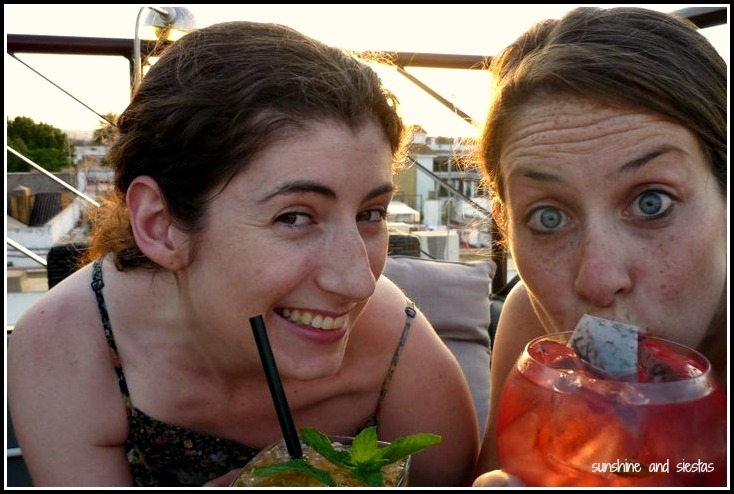 This, of course, after they’ve had an aperativo of pipas, or sunflower seeds. Make sure you bring yourself a sandwich for halftime, and make sure it’s big enough to share. It may be a good idea to bring wet wipes for when you’re done, too (or maybe that’s just me). 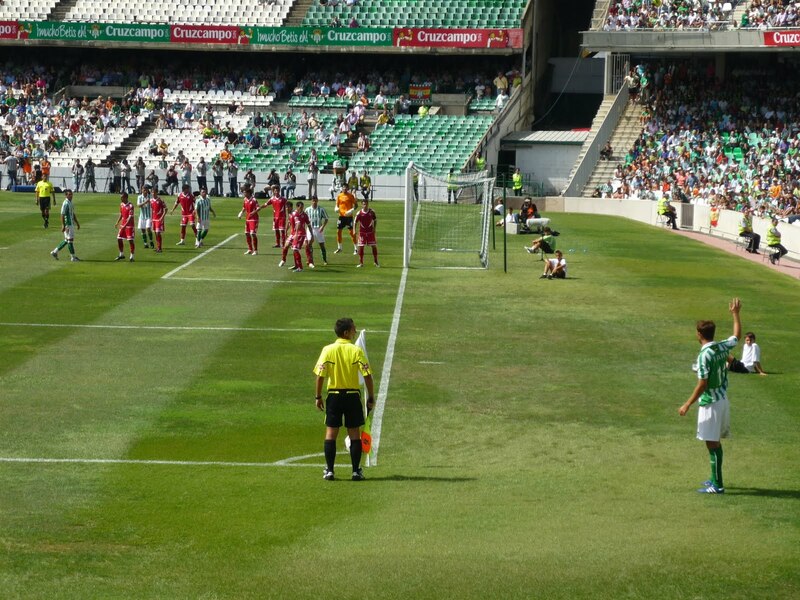 On my second day in Seville, my grandmother and I attended a Sevilla Fútbol Club match against Recreativo de Huelva. My grandmother is a demure woman, but fun-loving and open to new adventures. We climb up to the far reaches of the Sánchez Pizjuan stadium, and I settled in between a concrete wall and a man whose stomach stuck out as if to catch all of the pipas falling out of his mouth. Not knowing enough Spanish, my abuelita sat in the empty seat in front of me. I’m pretty sure she got pipas in her hair, too. Whenever Sevilla lost posession of the ball, the man next to me would shout, JOOOOOOOOOder. joDER. JODER. Naturally, my grandma thought it was a victory cry, even though the club was up 3-0. She began chanting it, too, and I couldn’t find the heart to tell her that it was a strong explicative because she looked so happy feeling integrated into a very Spanish part of life. Now that I’ve been to several more fútbol matches, I sling insults at players (often from my own team) and the refs with a well-crafted swear word or two. Try it, you’ll love it. 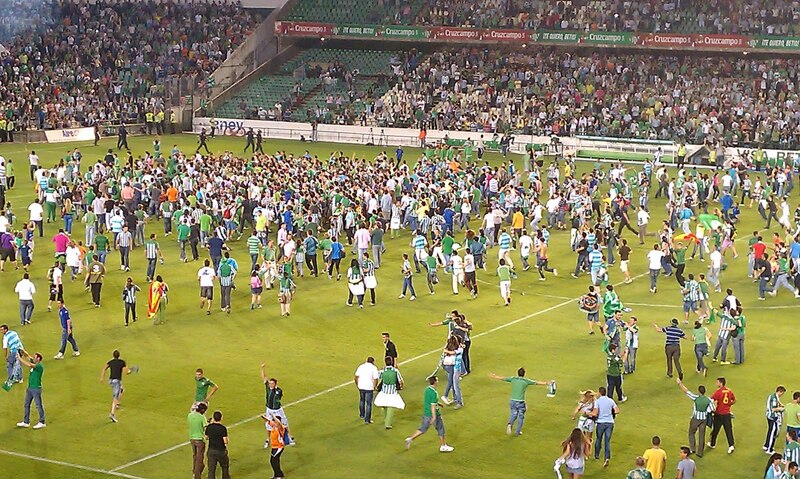 It has to be said: Andaluces are exceptionally good at exaggerating, and football is no exception. A well-deserved goal becomes a golazo, a blocked goal, a paradón. When discussing plays with your neighbor, be sure to add -azo, -ón, -ote to the end of nouns, and súper- and híper- to both nouns and adjectives. And don’t be alarmed when you see grown men cry, either. As the Himno del Betis rings throughout Estadio Benito Villamarín, los béticos tend to release millions of paper stars, toilet paper rolls and even paper airplanes fashioned out of the lineup towards the field. Since the Novio and I sit in the first amphitheater, we get everything from the second and third, plus splashes of wine from the guy who sits directly behind us. Rare is the day where I shake my head and only a few sunflower seed shells don’t fall out. But don’t worry, it’s all in good fun, and it sure beats the time where some Florida Gator fans poured a beer on my head at the Outback Bowl. Who’s your afición? 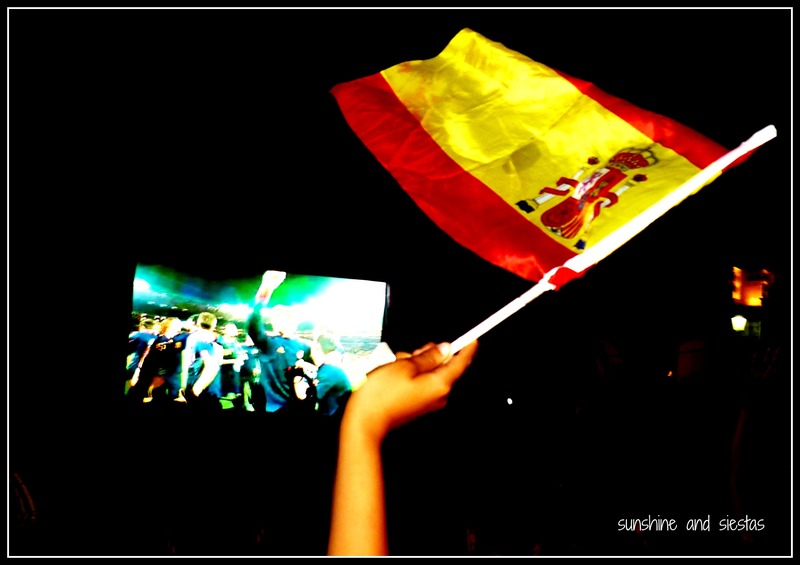 Have you ever been to a Spanish soccer match? 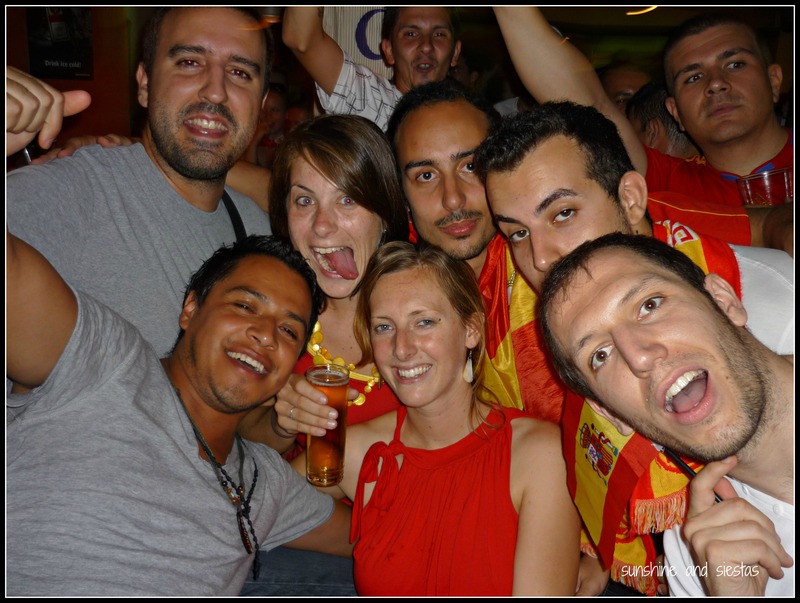 My first experience with Spanish fútbol was a Fútbol Club Sevilla game in September 2007. My grandma and I melted like butter in the sun and got seats high in the grada, next to a man who spilled over his seat and shouted COÑO every time the rojiblancos lost possession of the ball. Helen asked how I liked it, and I pined for Hawkeye Football. For me, fútbol was little more than an excuse to get some friends together to drink beer and casually comment on a game. I had played as a kid for years, hanging up my shin guards to focus on school and gymnastics in 2000, years before Spain’s national team was even on my radar. 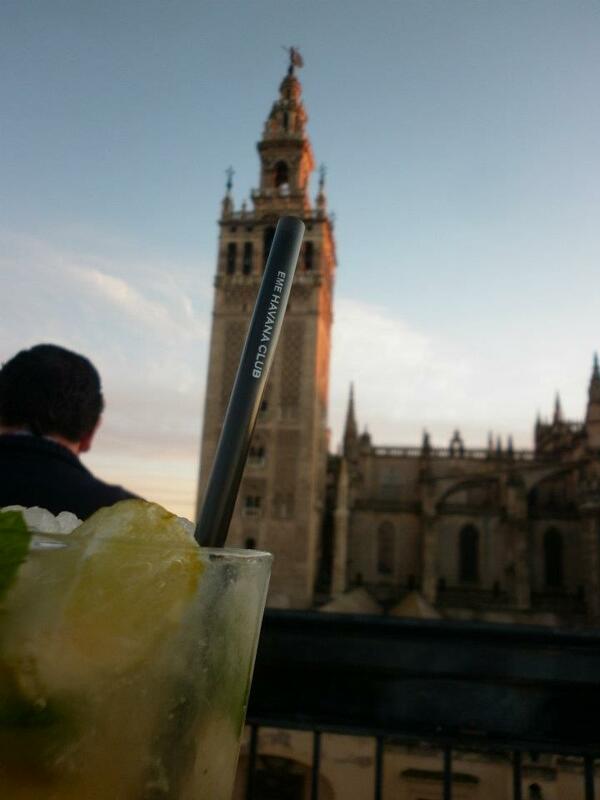 In the summer of 2008, however, I spent my months missing Spain and working at Banana Republic Factory Store. My boss, Erik, approached me one July morning with a proposition: Work my 90 minutes of break simultaneously and call with updates. What updates? The Euro Cup tournament had begun, and my boss assumed I’d be interested in watching it. I obliged, and found it was me who was then yelling COÑO and TIRA, COÑO and ME CAGO EN LA MÁ! as Spain battled Germany in the finals. After 90 grueling minutes, la Furia Roja came out on top, a taste of what to expect in South Africa two years later. I was impassioned. Xabi. Iker. Piqué. All part of my vocabulary. I played Wave Your Flag for my students Friday on the opening day of the 2012 Euro Cup and tears pricked my eyes as I remember watching countless games and scheduling my social calendar around them during the World Cup – US, Mexico, Germany and Spain made up the countries of nationalities of la familia, and we ate guacamole at Juan and Marco’s while cheering on Mexico, found a beach bar to watch Spain-Uruguay and convinced Kirsten to not wear any black, thus giving away her German heritage before they lost to Spain in the semis. I once even watched a game by myself, back against the wall, just to not risk missing the first ten minutes to return home after work. When I walk into Plaza María Pita in La Coruña, I remember the excitement leading up to the final. 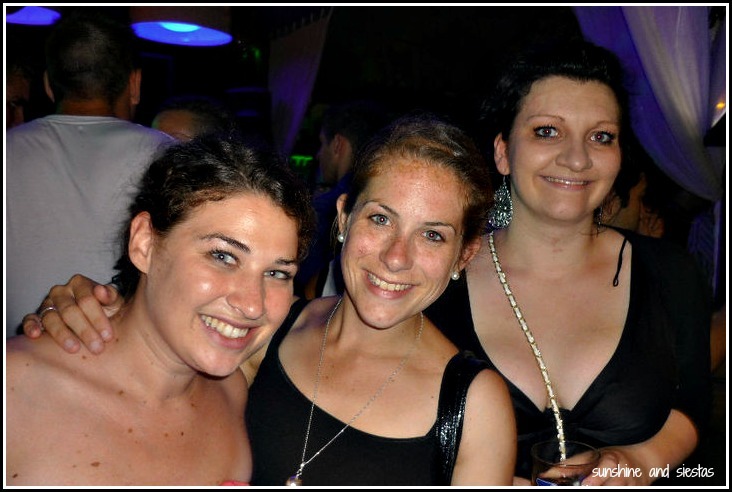 Carrying a plastic bag full of cold beers, we waited hours for the square to fill while Waka Waka was played on repeat. With the crowd ebbing and flowing with every corner, card and kick, we all found ourselves at different points of the plaza. At minute 82, I told Lauren I would rather pee my pants than miss the last few minutes of a tied game. As I squatted over a toilet where I didn’t even bother to turn on the light, an eruption occurred. I rushed out to see if someone had scored, pants still unbuttoned. In the end, an extra 30 minutes was tacked onto the game. Nerves were tense as people around us hugged us in close. No one spoke. 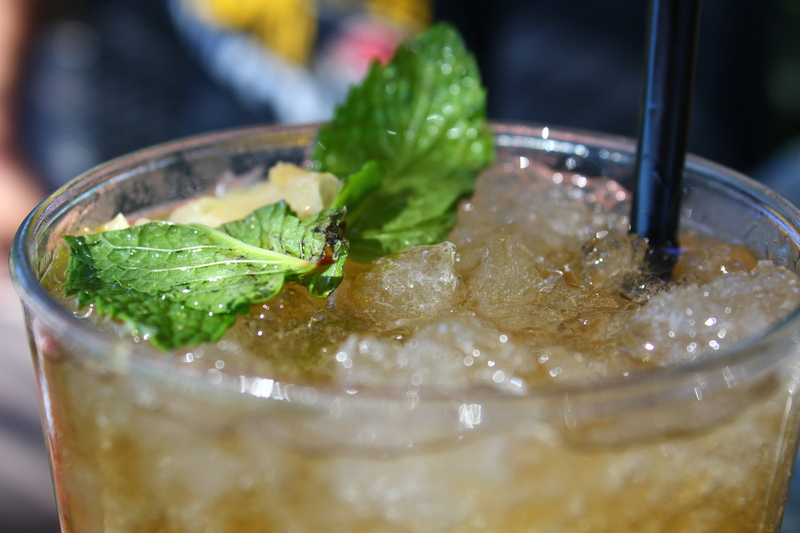 Tikitaki. Back and forth went the ball. Iniesta in from the right side. Strikes. Past the goalie’s hand. straight into the net. 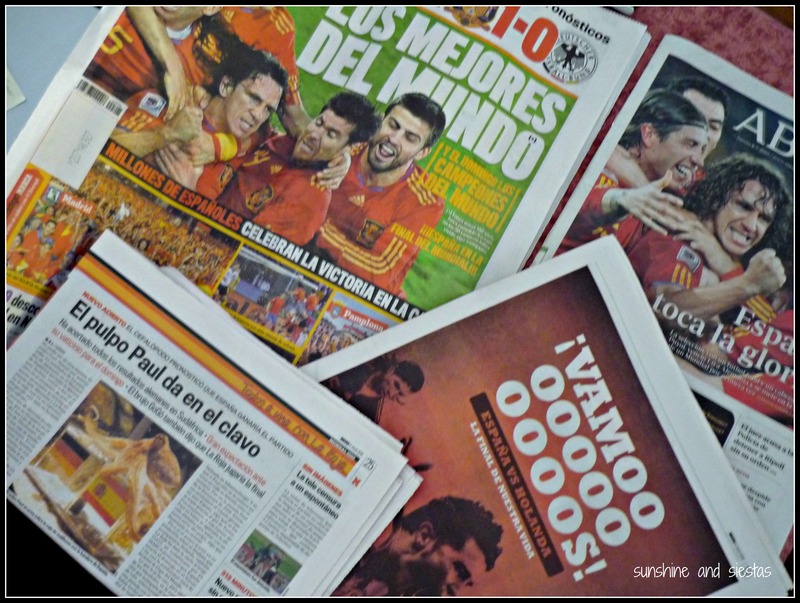 As Reina put it, “He wrote the script for our success.” Spain had brought faith to a country in the midst of its worst economic crisis, had united a nation in the name of balompié. I felt like I was a part of the greater picture, swept up in the craze and into numerous hugs and high fives from strangers (including the defeated Dutch). Two years later, I’m with Inma cheering on La Roja as they play a friendly with China. The game isn’t especially interesting, but it was the last time they’d play before their debut in the Cup this evening with Italy. I cheer the chants loudly enough to lose my voice, straining my neck around someone in front of me with a goofy hat to see the corner kicks. Explain to Inma what fuera de juego means and why cards are given. Finally, after five years, I have found a way to move past my need for tailgating and Gary Dolphin, and I feel that La Roja is my Spanish team to believe in. The Who, What, Where: During the month of June, 16 qualifying teams from across Europe will go head to head to determine the continent’s best football club, with the final on July 1st. Poland and Ukraine are sharing the hosting duties this time around. Spain’s Desafío: Be the first team in history to win back-to-back-to-back Eurocup (2008), World Cup (2010) and Eurocup (2012). Apart from being a team of depth, La Roja’s players don’t play with their egos to feed as they do in the national league. Spain is grouped with Italy, Ireland and Croatia and plays their first game tomorrow at 8:45 pm against the azzurra from our Mediterranean neighbor. Teams to watch are the usual heavy hitters: England, France, Holland and Germany, two of whom were teams Spain beat during their World Cup run. Spain’s Schedule: Spain plays its fellow group members in the first round: Italy today at 8:45 pm, Ireland the 14th at the same time and Croatia on the 18th. The two tops teams of the division will duke it out in the quarterfinals on June 23rd. The winner will be decided on July 1st at 8:45 pm. They say there are three great fútbol afficions in Europe: Barça, Real Madrid and Betis. 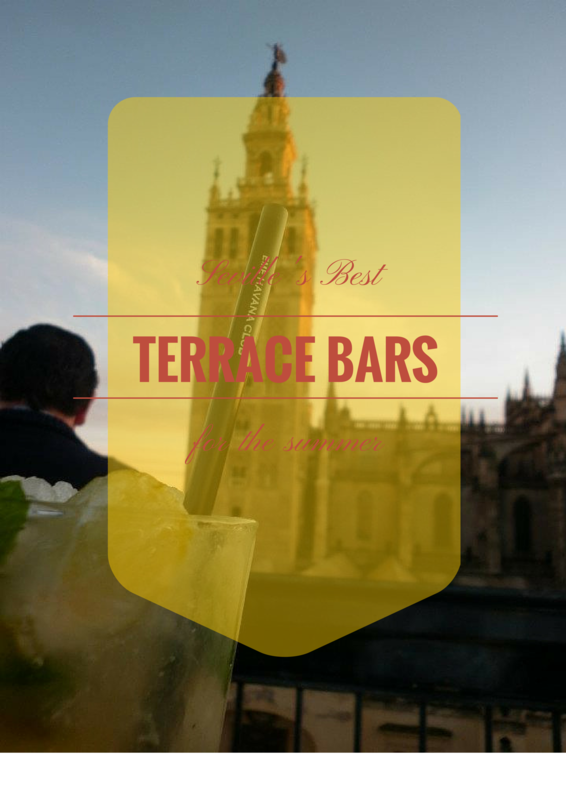 The azulgrana is mighty, Madrid a heavy hitter and, um, Betis isn’t even in the premiere league. After a rough week, my friend Kim called to invite me to a game. Based on a points system (I swear these people must be economists), Spaniards make predictions on who will ascend to or, worse, be kicked out of the top tier of the Spanish League. Number of goals scored is more important than whether the game is won or tied, and the other Sevillian team’s nine points ahead of it’s next opponent as of the kick-off time made it clear that, with a win tonight and Celta’s loss to a strong Salamanca tomorrow, the return to primera was locked in. In order to boost attendance at games, season ticket holders, called socios, can score extra tickets for only 15€. 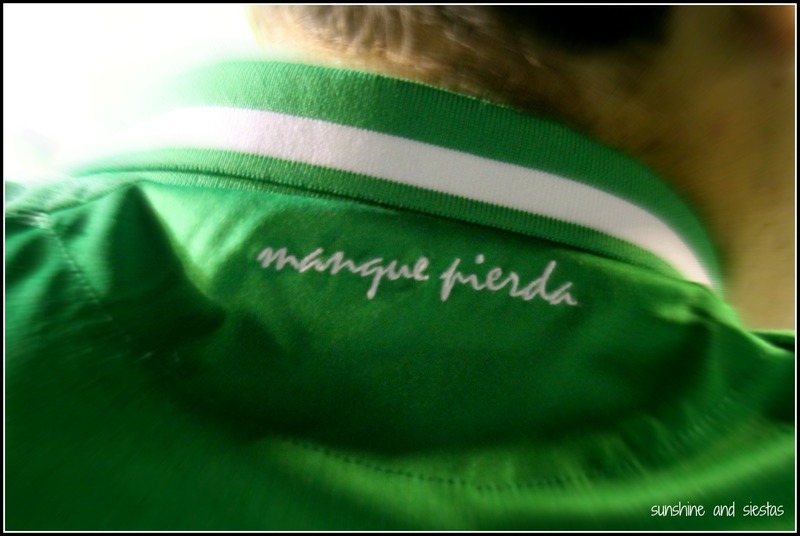 I grabbed the only green shirt I had (the other option was my lime-green shawl from Feria) and headed south to Estadio Benito Villamarín, home to the verdiblancos. 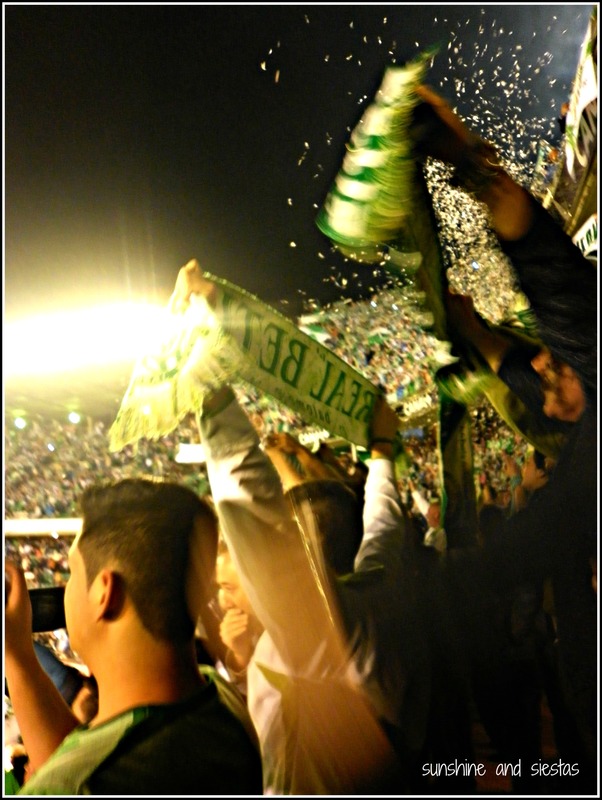 Roaring with cariño, the béticos waved their green and blue scarves while shouting insults at their crosstown rivals, FC Sevilla, and the night’s opponents, Tenerife. Once in our seats at the top end of the home section, we joined the fans dancing to theme songs, chants and dances. The line up announced, the béticos perched in their seats, Betis’s Casto delivered a clear shot into the net, and the béticos were on their feet. I miss American football, namely watching Monday Night Football with my dad or drinking my first beer at 6am on Melrose Avenue in Iowa City. But something about my afición for my second city and its fútbol is starting to make me feel more at home. bit homesick. But, I had to live in the moment. 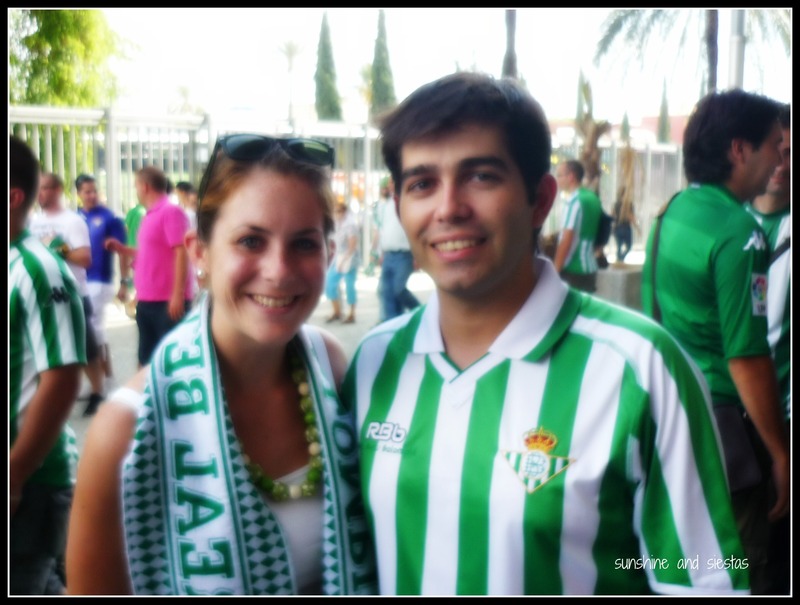 Volveremos a primera, Real Betis Balompíe! !